Diane C. Ferrante is a partner in our litigation group with a focus on family law and insurance & risk management. She is co-leader of the insurance & risk management practice group and in that realm of her practice has worked on files defending claims relating to professional negligence, property damage, fire loss and personal injury. In her family practice, Diane has been involved in matters dealing with child support, custody, parenting time, mobility, division of property and spousal and partner support claims. 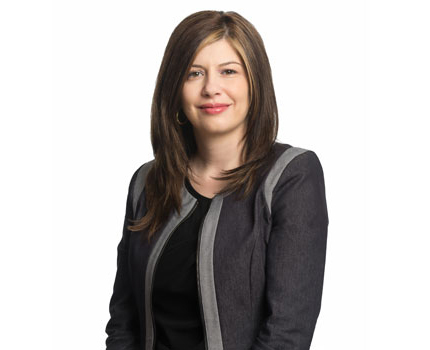 Diane is a registered collaborative family lawyer and a member of the International Academy of Collaborative Professionals (IACP), a member of the Association of Collaborative Family Professionals (Edmonton) (ACFP), and a member of the Collaborative Divorce Alberta Association (CDAA). She has completed an extensive course through the Legal Education Society of Alberta on Mediation of Family and Divorce Conflicts and has now opened up her practice to mediating family disputes between parties in an effort to guide them to a resolution outside of the court system, if possible. After completing her articles at Duncan Craig LLP, Diane was admitted to the Alberta Bar in September 2008. She became a partner in January 2015. Learning the importance of mentorship in her years at Duncan Craig LLP, Diane is also a mentor through the Canadian Bar Association Mentorship Program and is the Chair of the Duncan Craig Student Recruitment Committee. She also acts as the firms Diversity Officer through the Law Society of Alberta's Justicia initiative.